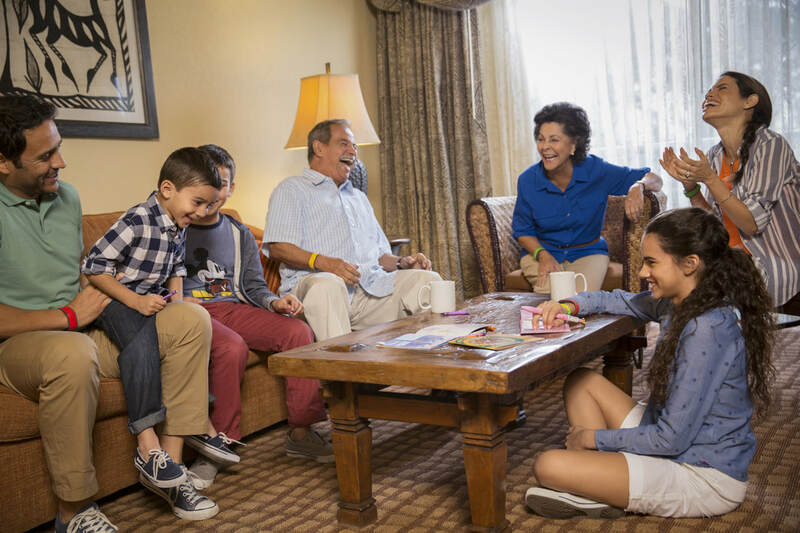 Disney Vacation Club is a time share program offered by Disney where members sign a long-term contract and agree to purchase a certain number of points every year. Members then exchange those points to stay at a Disney Resort. Disney Vacation Club rules are very strict and unused points will expire. Often times when owners have points that they are unable to use they opt to rent them to vacationers. Renting points is a great way for vacationers to save some money while allowing owners a chance to recoup some of the investment when they aren't able to enjoy the time share themselves. Disney does not rent points. You must rent from the property owners directly. And because of this renting can be a little risky. You will find ads to rent DVC points all over the internet and many of them originate from untrustworthy sources. 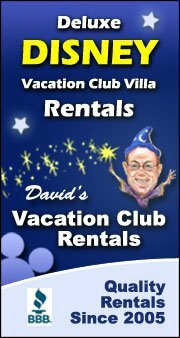 Magic Family Travel does not rent DVC points, nor can we help you with your rental reservation, but we recommend that you use a reputable points broker such as David's Vacation Club Rentals. David vets property owners and provides a safe rental process. Using a points broker costs a little more but will provide you with the peace-of-mind in knowing that you will not be taken advantage of. Save money! - Savings vary but most times vacationers can rent a Disney Deluxe Villa for about the same cost of reserving a room at a moderate resort. Deluxe accommodations! - Disney Vacation Club units are located at Disney's top tiered resorts so renters can enjoy added amenities and luxury. Rentals are available in studio, one and two bedroom units and often include kitchenettes, washer & dryer, and more living space. A DVC Owner can book a reservation at a DVC Resort a maximum of 11 months in advance. But the owner does not know what rooms are available until they call Disney Vacation Club Member Services, so in every case, it is always advisable to check as soon as possible especially if you plan to rent at a busy time or peak vacation season. Will I get a reservation confirmation number? Yes, you will receive a reservation confirmation number as soon as your villa is secured. You can then verify your party's details on-line at Disney.go.com , by setting up a My Disney Experience profile and linking your reservation to your profile. Please note: The Grand Californian is the 1 DVC resort that does not offer online check in. No, but you will receive all the benefits that all guests staying at a Disney Resort receive such as free transportation to and from the parks, enhanced magic hours, free parking etc. No. Due to the complexity of banking and borrowing points, cancellations, upgrades and date modifications are not permitted. You may explore the possibilities of adding Travel Insurance to protect yourself against unexpected situations. Absolutely! When staying at a Walt Disney World Resort, Guests are eligible for Disney's Magical Express service which provides transportation to and from the Orlando International Airport. Prior to arrival, Disney's Magical Express documents with transportation information and luggage tags will be mailed if applicable. Can I add a Disney Dining Plan? Yes, for an added fee, you are able to choose from any of the 3 dining plans Disney offers its owners and their guests when staying at Walt Disney World. Can I get all the discounts and perks that Disney Vacation Club Owners get?